Once again, I am reminded that nurturing relationships with others is one of the fundamental duties of an administrator. It is through the skillful building and cultivation of relationships that are built on trust, and where both parties buy-in to a shared vision of what’s best for students and the school, that administrators gain support for their initiatives. Building strong support is especially critical when a fundamental shift occurs in the vision and mission of a school; without key parent’s cooperation the change process can grind to a halt through resistance and challenges to authority. 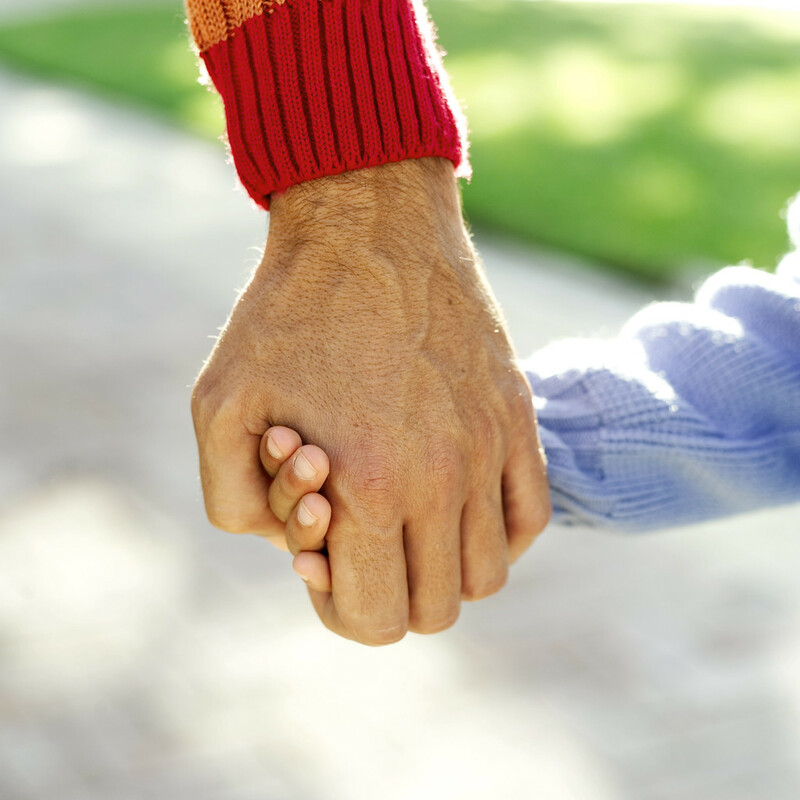 Gaining parent support is a process; it takes time, energy and a willingness to set-aside (at a moment’s notice) the day-to-day “managerial” work of administration to be available for impromptu parent meetings and encounters. While there is much to be done this school year streamlining systems and operations (identifying need, and creating and refining systems occupies much of my time), I am realizing that the time I spend chatting with parents, being a visible presence at events and functioning both as educator and Head of School’s wife is not time wasted, rather it is a simple investment that reaps dividends daily. Thus, while the early part of this past week found me preparing for the “systems” aspect of Open House, I found that my interaction during the event: with parents, teachers, staff and students were of equal or more value than making sure the set-up was correct. The administrative team had decided that Open House should be an after-school event that began following a regular day of school. In the recent past, students were released early so teachers could prepare their rooms and still have time to go home and eat an early dinner before returning at 7:00 p.m.; the evening ended at 9:00. We decided that it would be better not to disrupt classes with an early release; likewise, we did not want to impact teaching the next day by requiring staff to stay for a greatly extended evening. It was my idea to use the time between the end of school and when teachers would have their rooms straightened up and ready for the evening as a means to showcase some of our new programs and reiterate the vision and mission of our school as being a “university bound, college preparatory school…”. I was the first person out at the tables greeting and assisting parents as they picked-up their student(s) schedule and their login information to check grades and homework assignments. Though I did not present during our “opening” to Open House, I helped coordinate topics of discussion and the order of presentations. It was a great chance to reiterate the vision and mission while providing tangible evidence of how our work and programs are supporting student success. Informal parent feedback told us that parents appreciated the useful information and “professionalism” of our orientation, things that they said were lacking in the past. 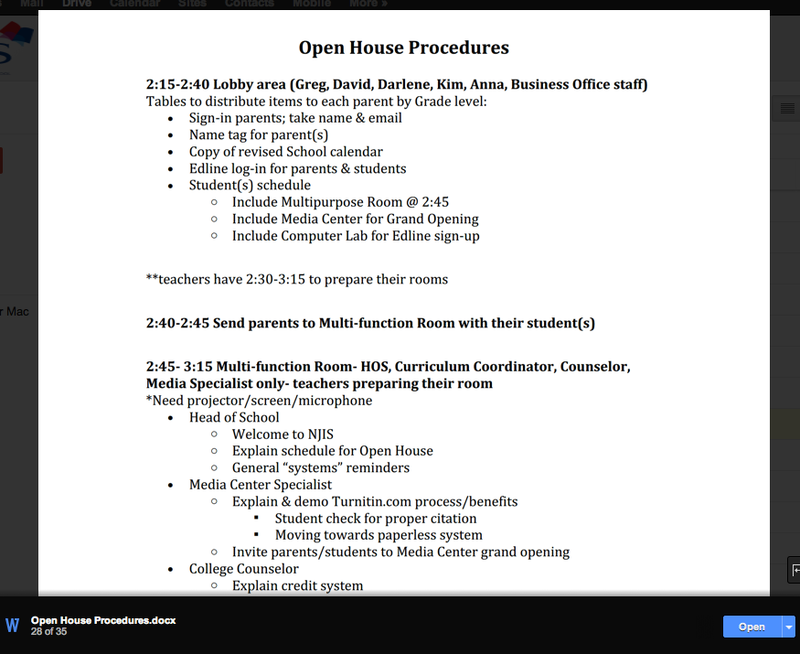 This is an example of the Google document that I created for Open House and shared with Admin and teachers. I was able to create this document after sitting-in on an Admin meeting where we decided what our vision and mission was for Open House. Our primary mission was to create a venue, before parents began visiting individual classrooms, where we could reiterate our goals this year; academic rigor with a focus on university preparedness, the importance of “credits” in high school, how parents can keep current with student grades/homework using our Edline system, and highlight the new programs, books and databases purchased for our Media Center. While there is discussion related to the timing of this event, I would not make changes to the positive message that was wrought from this event; we are still seeing the positive effects in terms of perceptions of our administration’s professionalism and seriousness of intent and I’m sure the word will spread throughout the parent community through future well-crafted events such as this. Another fundamental difference between Open House this year and the way things were done in past is that parents were encouraged to have their children attend as well. An unexpected benefit of this arrangement was that students were able to play host for the evening; it was a nice opportunity for students from primary through grade 12 to take a bit of ownership in their education. The pride and excitement of sharing their classrooms(s) and teachers with parents was palpable and students had much needed practice introducing their parents to their teaches and vice versa; a practical skill that children do not always have a venue in which to practice. The next day, I appreciated being able to use Open House as a brief talking point with students as I walked through school; capitalizing on opportunities to interact with students is important to me since I am not teaching this year and have to work to make these moments happen. As always, I am continuing to cultivate my relationship with teachers as an administrator. This is perhaps one of the most difficult parts of working in Administration this year, navigating the transition from teacher to administrator. I knew that once the opening meeting was over and parents were on their way to visit classrooms, my “systems” duties for Open House were complete. Yet, I am keenly aware that an administrator is more than just a manager of people, that much of their value is found in the careful cultivation of a positive and supportive school climate. I felt it was imperative that I spend the time during Open House just as the Head of School did; walking the halls and visiting classrooms, to simply be seen. Oftentimes support is communicated through actions more strongly than words; I wanted to communicate to parents and students, but more importantly staff, that even though I am an intern, my presence is still valuable to them and the school. I was able to visit all but two teachers’ classrooms during Open House to check in on the number of parents and students they had visit, their impression of the event but mainly to let them know that I was interested to here about the work they had put in to preparing their classroom to make our evening successful. I sensed that they valued my checking in on how their evening progressed as a part of the administrative team. I was pleased, though a little surprise, when some teachers made a point of showing how they had prepared. I was also able to direct the Head of School to a teacher’s room that was having a difficult conversation with parents about topics the teacher couldn’t address. Even though I was not the one running interference, I was still able to contribute to the success of the evening. Later in the week I was able to reconnect with some parents that I had met the evening of Open House as I was introduced as the Head of School’s wife. This informal introduction followed a three-hour meeting; though I was not present for the meeting, I could immediately sense the fundamental shift that had taken place in the parents’ attitude. Their demeanor shift away from an initial unease with the school’s new direction during the first weeks of school, to growing support for the necessary changes that we are making. These are some of the key parents whose support is necessary to move forward and because of the positive yet serious tone and success of events such as Open House, the message is being sent that the changes we are making benefit their students and what we are doing is backed by tangible evidence of necessity. Accordingly, my role at this meeting was quite simple; I was the supportive educator-wife that reiterated the good things being done for the parent’s children while reiterating our mission and vision. I was able to navigate this particular encounter with ease as I had already met some of the parents during Open House and other occasions; again, my work at being visible, supportive and available is another critical element to our success. 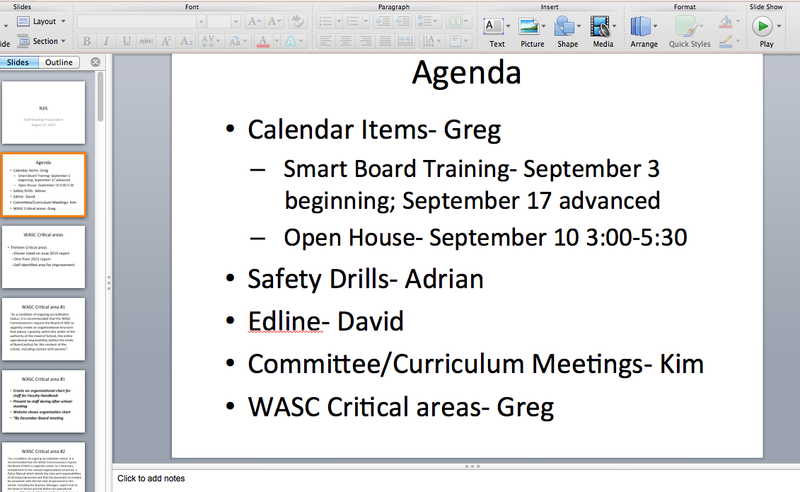 This is a screen shot of the Agenda portion of a PowerPoint showing what I presented at an all-staff meeting. 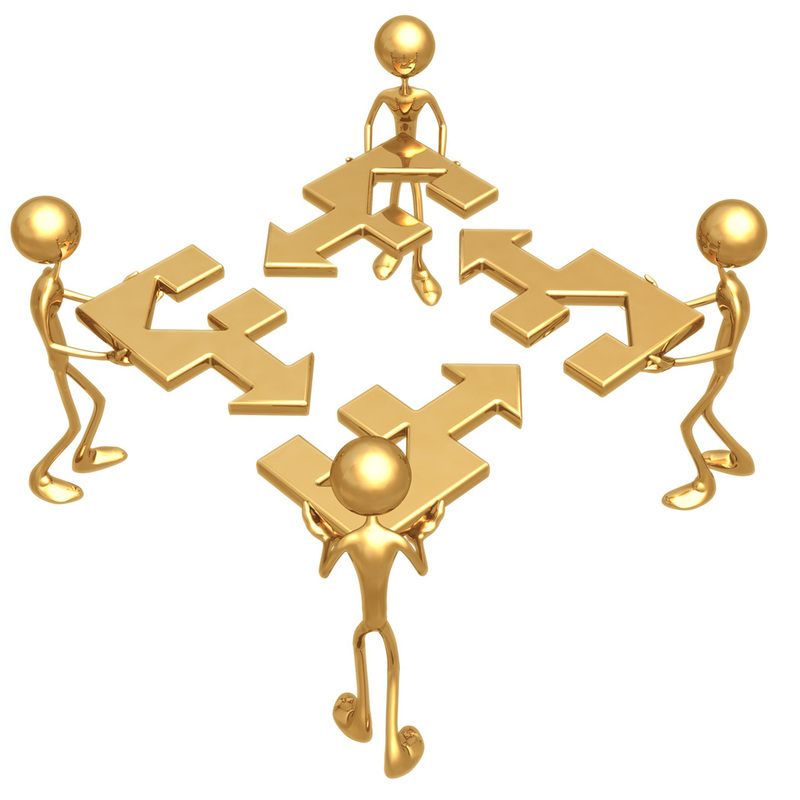 One way that I am demonstrating leadership skills in the areas of admin and curriculum development is by creating, sharing and supporting systems that enable teachers to have collaborative planning time and a record-keeping system of their meetings. 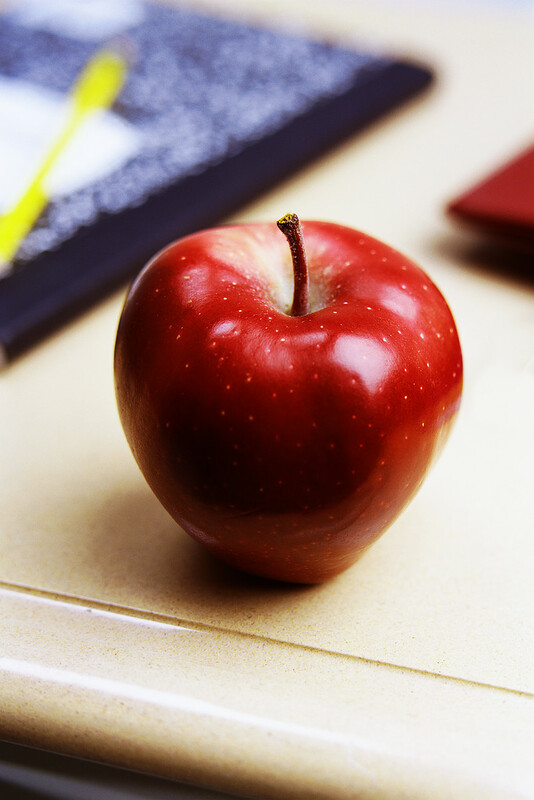 By setting and communicating protocols that include record-keeping, I am able to hold teachers accountable for their work/time in addition to creating tangible evidence for continued WASC accreditation. 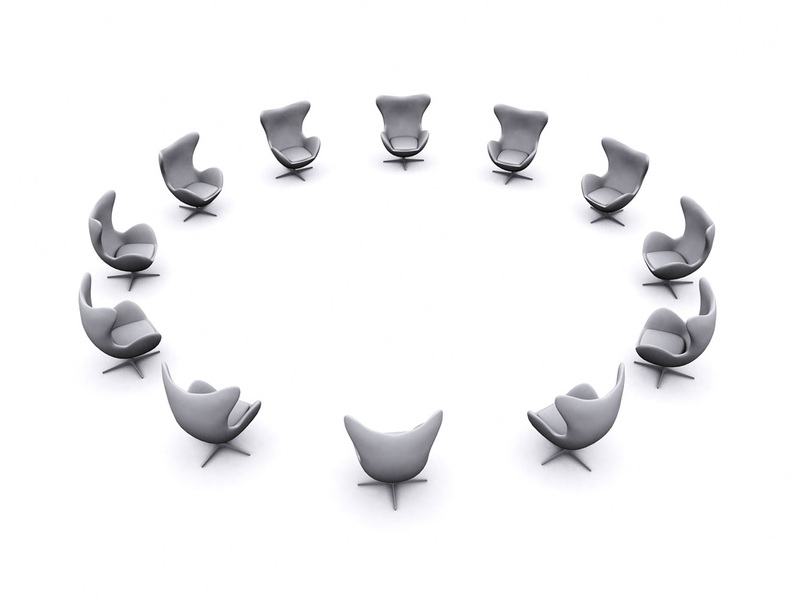 There has been a bit of a learning curve in terms of establishing the systems necessary for accountability and opportunity (for meetings). Some changes I would make in communicated committee/curriculum meetings expectations are: stream-lined signing-up procedure, and a more populated example of what forms would look like as people filled them out; I had examples but there have still been questions as people become accustomed to working with Google forms online. Another important part of being a leader is by empowering others to be leaders as well. While I think it is crucial that there is an ultimate authority in schools, I would never presume that one person has all the skills or knowledge to effectively address every aspect of education. It’s easy to get caught-up in thinking “If you want it done right, do it yourself” but trying to be everything and do everything is not only narcissistic and dictatorial but quickly leads to professional burn-out. Empowering teachers is really quite simple though it does require deliberate thought and action. Teachers feels empowered when administrators actively solicit their feedback and suggestions, and by creating formal systems that encourage collaborative leadership. This honors the professionalism of teachers and lends itself more closely to a participatory-style of leadership. 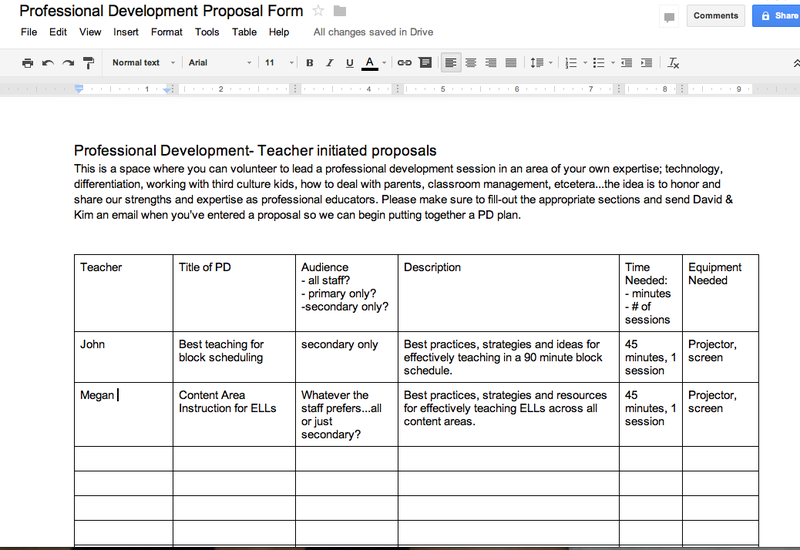 This is an example of a Google document I created with teacher leadership and empowerment in mind. As part of the Best Teaching Practices WASC committee, I sent this document to the other committee members for their review before I share it with the rest of staff. This is a screen shot of a Google document I created that encourages teachers to be active teacher-leaders in our school. One way that I am working towards honoring and building the professional capacity of the teachers at my school is through creating opportunities for teachers to actively participate in the development and training of colleagues. I am also working towards establishing a climate of transparency where teachers have a access to information and voice in things that effect them. The only thing I would change about this document is that I would have liked to have sent it out and established a schedule a bit earlier in the school year when teachers are fresh and eager to do all they can before the daily grind sets in. People will sign-up but perhaps not as readily. I think that the most difficult aspect of my internship has been and will continue to be interpersonal relationship-building. Working with people is a difficult task that requires excellent communication skills and a strong sense of your vision and mission. This past week has highlighted (to me) the strides that can be made within a community simply by focusing deliberate effort on talking with the various constituents that comprise a school, making oneself available and sending a consistent message. 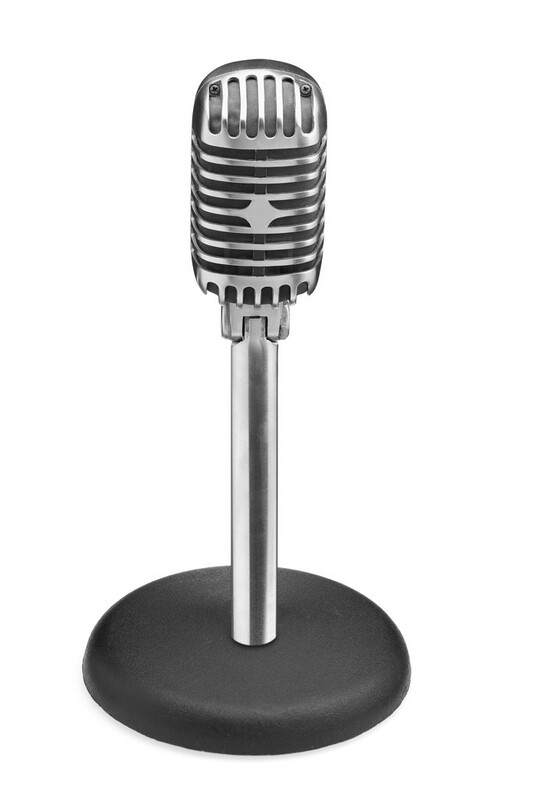 All parents voices deserve to be heard but it would be folly to disregard the influence of key members of the parent community; it is through the cultivation of good relationships with the loudest voices that an administrator’s core mission and vision is amplified. Assuring that this rebroadcasting is accurate and favorable is key to moving change forward in a timely and positive direction. I may not always feel that I have time to shift my focus to listen to parent concerns or complaints but I know I can’t ever afford not to. This entry was posted in Leadership in Applied Curriculum, Standard 01. Instructional Planning, Standard 03. Curriculum and tagged Administration, collaboration, Communication, parent communication, teacher empowerment. Bookmark the permalink.